Pheochromocytoma (Ph) is a rare catecholamine-secreting neuroendocrine tumour that arises from the chromaffin cells of the adrenal medulla. Ph usually presents with symptoms including paroxysmal headache, sweating, palpitations, and hypertension. During a computed tomography (CT) scan in a normotensive 49-year-old man, an incidentaloma of 4.5 cm was detected. Hypercortisolism was excluded after the dexamethasone suppression test, levels of DHEAS all falling within the normal range. After a 24-h urine collection, normal urinary metanephrines and a 4-fold higher level compared to the normal range of urinary normetanephrines were observed. Cortisoluria levels were within the normal range. Multiple endocrine neoplasia type 2 (MEN 2) was also excluded. Before the adrenalectomy, 123I meta-iodobenzylguanidine scintigraphy (MIBG) and 18F-fluoro-2-deoxy-d-glucose-positron emission tomography (FDG PET)/CT were performed and were both negative. Histological examination confirmed the laboratory diagnosis of Ph. Genetic screening to evaluate the SDHB, SDHD, RET, CDKN1B, and VHL genes was requested in order to test for Von Hippel Lindau disease, but unexpectedly all of these were negative. On follow-up after surgery, the patient presented normal urinary catecholamines. 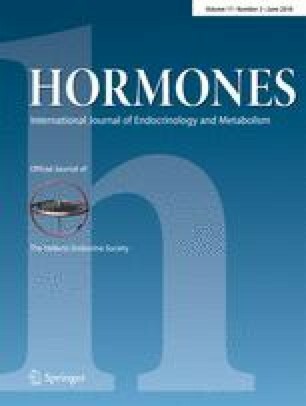 However, after Ph removal, he reported frequent episodes of erectile dysfunction (ED) despite non-use of any antihypertensive medications and in the absence of any other precipitating factors, such as hormonal imbalance. This is a case report in which, in a normotensive patient with Ph, both MIBG and FDG PET-CT were negative, as were also genetic exams, including VHL, this underlining the difficulties in diagnosing this condition; furthermore, a rare case of ED occurred after surgery.